If there is one message that resonates throughout the Bible it is that there is one God. James 2:19 – “Thou believest that there is one God: thou doest well: the devils also believe, and tremble. All must believe in one God. Why even the devils believe and tremble. The Godhead can be understood when we rightly divide the word of God. This “Mystery of Godliness” that Paul was speaking to Timothy about was not a mystery concerning how three persons of a supposed trinity could be one. Rather it was a mystery concerning how the great God of heaven robed Himself in flesh and dwelt upon mankind. Jesus Christ was both human and divine. As a man he was touched by out plight. As divinity He had an abundance of strength and power. As a man Jesus Christ moved, lived, grew up, wept and prayed. As God He raised the dead and healed the sick. You can’t make Him all man by saying He prayed for He also answers prayers. Answering prayers is something only God can do. As a man he said “I thirst” (John 19:28). As God He proclaimed “If any man thirst, let him come unto me and drink” (John 7:37). As a man he hungered. As God he fed multitudes with five loaves of bread and two fish. As a man he was asleep in a boat on the Sea of Galilee. As God He arose and rebuked the wind and the waves. As a man he walked by the sea. As God He walked on the sea. As a man he died on a cross. AS God He rose again from the dead. Many people have a difficult time accepting the two natures of Jesus Christ. They want to call these two natures persons, two separate people. Jesus himself referred to the Spirit as “Father”. That’s because the Spirit actually was His father. In Luke 1:35 we read that the Holy Ghost over-shadowed Mary. The confusion about the Godhead comes in because it becomes difficult to ascertain just who really is the Father of Jesus. In Luke 1:35 we read that the Holy Ghost is the Father. Then we are told elsewhere in the Bible that God is the Father. Jesus Himself is called the “everlasting Father” in Isaiah 9:6. How many Fathers did Jesus have? What is essential to keep in mind is that there is one eternal Spirit. How else could one describe the eternal Spirit bringing forth from the virgin womb, a body, but to call it “son”? Being “born” necessitates the usage of the titles “Father” and “Son”. The “Son” was born but deity can’t be born. Jesus referred to the Spirit as “Father” because He wanted people to know who was responsible for the miracles he performed. We can see this concept clearly in John chapter 14. Because of this involvement of Spirit in flesh, Jesus could speak as though it was Himself performing the miracles. Jesus proclaims in John 10:30 that “I and my Father are one.” Perhaps one of the clearest scriptures that reveal the relationship between the Father and Son is found in Colossians 2:9. The word “Godhead” means “deity” or as I like to say “God’s Headquarters”. Here in Colossians the Apostle Paul declares that the Godhead was in Jesus. Now please note that Paul did not say that Jesus was in the Godhead. This difference is quite significant. I believe it is the key to understanding the Godhead. So is God one or three? Some believe that there are three separate and distinct “persons” in the Godhead. They believe that these three “persons” are co-equal and co-eternal. They believe that the three persons of the Godhead are the Father, the Son and they Holy Ghost. These three “persons” form a mysterious union as one God. Others believe that One Eternal God (the Father) has become flesh (the son) and that this one God has poured His Spirit (the Holy Ghost) upon all flesh. I am one of these people. A scripture that helps us understand the Godhead is found in I John. If we divide God into three persons we must also say that three persons indwell the Christian. The scriptures declare that our bodies are the temples of the Holy Ghost. We also read that Jesus Christ was in us as well as the Father. The concept of the “trinity” was formally accepted in the year 325 A.D at the Nicean council of the Roman Catholic Church. At this council God was divided into three separate “persons”. Each member of this heavenly committee was ascribed equal power, knowledge and existence. This creed stated that each person of the Godhead was “co-equal” and “co-eternal”. This doctrine of three persons in the Godhead was referred to as the “trinity”. 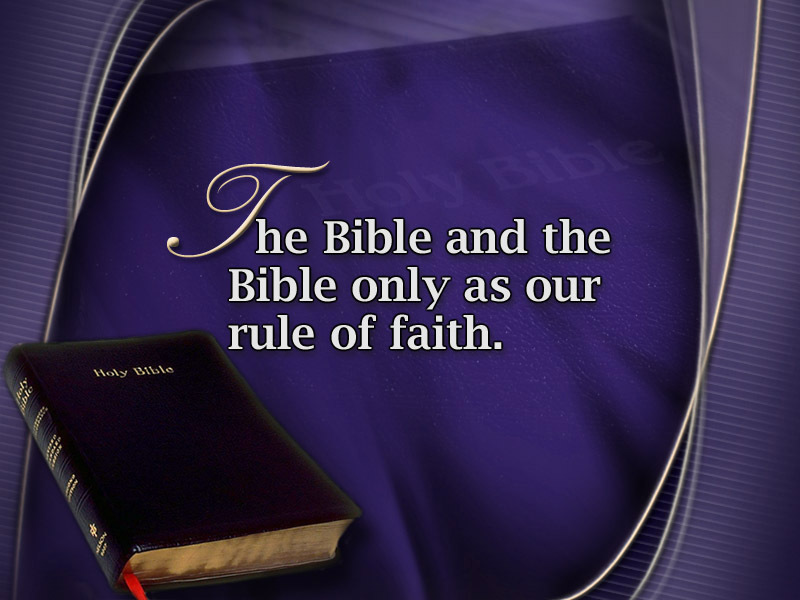 Believers in this doctrine are referred to as Trinitarians. Trinitarians believe that the Godhead is beyond understanding. 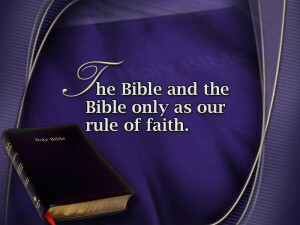 How can the persons of the Godhead be equal when Jesus said “For my Father is greater than I” (John 14:28). John 8:28 says that the Father taught the Son. The Son prayed. This fact alone should tell us that he was not equal with the Father. But what about the phrase “The Right Hand of God?” What does the term “Right Hand of God” mean? When reading the Bible one challenge is to know when to take a phrase literally or symbolically. There’s nothing literal about the “right hand of God”. It doesn’t mean there’s one divine person alongside the right hand of another divine person. When the Children of Israel crossed the Red Sea Pharaoh’s army drowned. A song was begun by all: “Thy right hand, O Lord, is become glorious in power: thy right hand, O Lord, hath dashed in pieces the enemy” (Exodus 15:6). What did the children of Israel see? A right hand? No! They saw waters rushing over their enemies. They called this manifestation of God’s power and glory His right hand! This was the Old Testament. But we see this same concept in the New Testament. When the first deacon, Stephen being stoned he said “Behold, I see the heavens opened, and the Son of man standing on the right hand of God” (Acts 7:56). What did Stephen see? Stephen saw Jesus in the place of power and glory – no longer a man but changed and glorified. He saw the “right hand of God” working as it did back in the exodus of Israel. When we read further we learn that when Stephen died He called upon God “saying, Lord Jesus, receive my spirit (Acts 7:59). Stephen say only one person, Jesus, in the place of power and glory. You’ll read in other places where Jesus stands at the right hand of God.